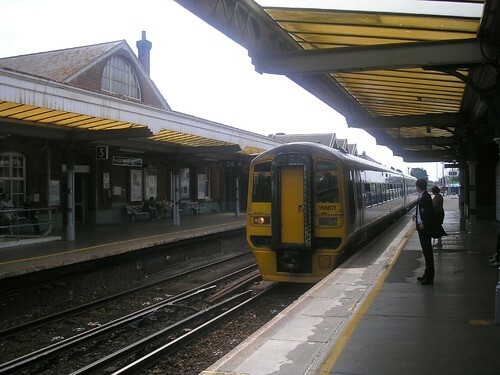 A class 158 arrives at Worthing station having run from Bristol (en route to Brighton. Although in the colours of Alpha line the service is now run by First Great Western. Do you not think that the First Group should put "first after the train operators name . i e "Great Western First"! Just an idea.